Times have been tough for United airlines in the past. There was that event where a passenger was removed from a flight forcibly and everyone filmed it and put it on social media. A bit before that the airline had had to delay 500 of their flights because of a second glitch in two weeks of the computer systems that run the airline. Clearly being the CIO at United is not an easy job. What needs to be done here to get things back on track? The issue of overbooking on airline flights has become a bigger deal because right now the airline industry is experiencing a surge in passengers. United, just like all of the other airlines, is responding to this surge by offering a more types of fare categories and collecting fees for extra services like seat upgrades and priority boarding. United’s person with the CIO job has stated that they are going to be using data analytics to do a better job of managing overbooking situations more strategically. They also hope to be able to do a better job of targeting specific groups of travelers with unique offers. One of the things that the person in the CIO position needs to understand about overbooking situations is that they are generally a result of some kind of operational disruption that has occurred. The result of this disruption is that United ends up flying a different plane for a given route than they had originally intended. A change like this can happen very close to the planned departure time for the flight. The new plane may not have as many seats as the planned plane did and this can result in an overbooking situation happening. The CIO believes that technology can help to minimize this kind of disruption. They want to help with anticipating issues so that they can allow passengers to proactively reschedule their flights. The CIO realizes that a lot of their overbooking situations can occur when United has oversold a flight. The company is starting to take a look at how they can use technology to make better predictions about what people will show up for a flight. The technology can predict which people are most likely to show up for the flight. Likewise, it can predict those customers who are likely to oversleep or get caught in traffic and miss the flight. United wants to use the data to further refine their analytics in order to determine which flights have a higher probability of no-shows. United understands that they need to take steps to reduce the number of overbookings that they are dealing with. They have gone ahead and made a number of changes that have resulted in the number of involuntary denied boardings decreasing by 80%. What United is hoping to do is to use analytics and machine learning to allow them to avoid having to implement black-and-white rules that determine who gets on a flight. United wants to start to use data in a more effective way. They are hoping to use information on which of their flights have the greatest number of historical no-shows in order to determine if a flight should allow overbooking. Additionally, they would like to incorporate information on things that may be happening in a city on a given day to make overbooking determinations. United wants to use the same technology to improve their seat booking process. What they’d like to be able to do is to determine what additional items someone would like to purchase when they are reserving a seat. These items could include Wi-Fi, checked baggage, time in a lounge, or a prepaid meal? The one thing that the United CIO realizes is that the company has a lot of data. Now that data has to be processed in order to create useful information. The company is hoping that they are going to be able to use analytics in order to process their data and get the results into the hands of their employees so that they can take action. Now that flight attendants have been equipped with mobile devices, they can tell the status of each passenger on the flight. This means that the right meals can be delivered to the right passengers. Additionally, seat upgrades can be offered to those passengers who are a member of United’s rewards program. United airlines has been dealing with some bad press as of late. There have been well publicized incidents of overbooked passengers being forcibly removed from a flight along with system outages that have resulted in many delayed flights. The United CIO needs to understand the importance of information technology and find a way to address the company’s current overbooking problem. 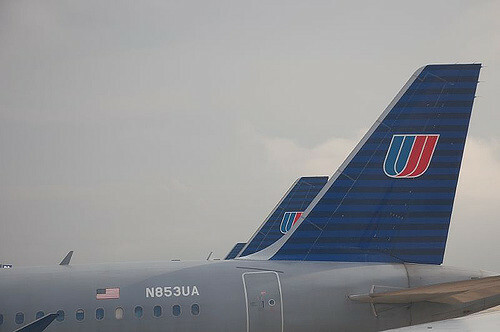 The United CIO has stated that the company is going to start to use analytics more. The goal is to be able to make predictions about flights and overbookings. Overbookings are often caused by operational issues that cause one plane to be substituted for another. The new plane has fewer seats and thus an overbooking situation is created. Overbooking can also occur when the company oversells a flight. The company is trying to use analytics to predict which of its booked passengers will actually show up to board the plane. United hopes to use their collected data to determine which of their flights have the greatest number of no-shows. If they can add in information on events happening in a given city, then they’ll know when they can oversell a flight. Ultimately it all comes down to the data that United has collected. If they can process it and get it into the hands of their employees, then they’ll be better positioned to deal with the problem of overbooking. Overbooking is something that no airline passenger wants to have to deal with. United has had difficulties in past with promising flights to too many people. The CIO knows that they now have the responsibility to solve this problem. The company has the data that they need. However, now the CIO and the IT department need to take the time and use analytics in order to get information into employee’s hands so that the overbooking problem can finally go away for good. Question For You: If an overbooking occurs, how do you think United should determine which passenger does not get to get onto the plane?